Luxurious travel for all ! 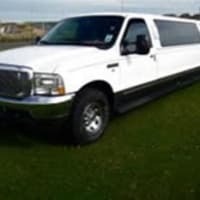 We have recently added a stretch hummer limousine to our range and can offer this to groups (up to 8) who are wanting a little bit of class for their night out. If you would like more information about our limousine service in Edinburgh, please either call us on 0131 440 2525 or by completing our online enquiry form . Corporate & Private work welcomed ! Fabulous company, great service, no stress. 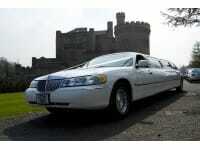 A must in Limo hire. If you need a great service with excellent driver, do not go past this company. We had a party for my 16 year old and 7 pals and it went like a dream. The driver took us all around great places in Edinburgh and was very accommodating with taking pictures. Would be perfect for any occasion and will definitely use this again. I booked the hummer for my daughters 13th birthday. The driver Mark was 10 mins early which was fab, he was very patient with the 11 very hyper teenagers and let them take lots of photos, fantastic experience, highly recommend this firm and Mark!